Marvel is developing a spinoff for ABC’s hit show, Agents of S.H.I.E.L.D., but it’s still too early to get as super excited as I know you want to get. According to Entertainment Weekly, the new show is being developed for ABC by S.H.I.E.L.D. executive producer Jeffrey Bell and writer Paul Zbyszewski. The studio is definitely keeping the spinoff under wraps and it sounds like development is in the very early stages, so it’s hard to even begin speculation on the story lines and characters that will appear. Entertainment Weekly is reporting that story elements coming in the remainder of Season 2 of S.H.I.E.L.D. will help to develop the plotline for the spinoff. But that means we have to wait until the end of the season to know where the new series is heading. Also, just because a new show is in development, doesn’t mean it’ll ever see the light of day. ABC hasn’t even officially renewed S.H.I.E.L.D. for another season, let alone ordered a spinoff pilot or given the show a series order. Best-case scenario: The studio loves the concept for the show and we get a spinoff premiere by this fall. 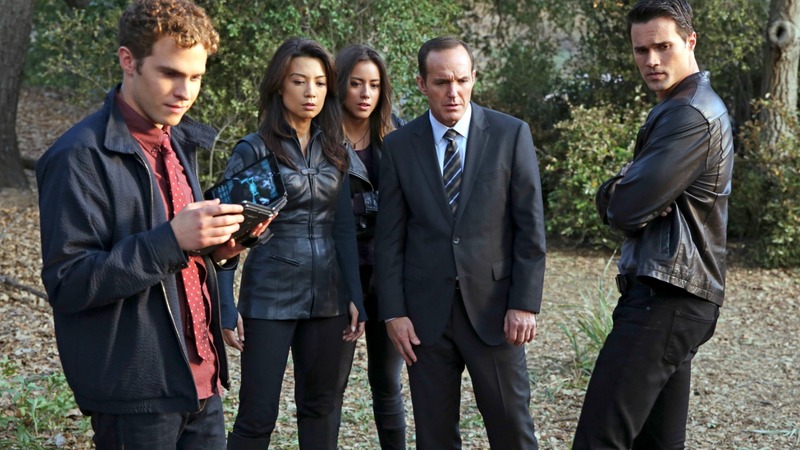 Of course, that would be a quick turnaround considering plot details will be fleshed out in Season 2 of S.H.I.E.L.D. After taking over the summer blockbuster world for the past few years, it seems Marvel is now successfully transitioning to entertainment dominance. Not only do they have Agents of S.H.I.E.L.D. and Agent Carter currently airing on ABC, but Marvel’s Daredevil premieres on Netflix tonight. More: PHOTOS: A female Spider-Man, Captain America, Wolverine and Hercules? Yes! A S.H.I.E.L.D. spinoff could also be a problem for you Agent Carter fans out there. The show has performed moderately well, but not well enough to guarantee a renewal. A sophomore season for the series is still up in the air. If ABC executives fall in love with the in-the-works spinoff script, they could bump Agent Carter to try for a new Marvel universe story line. Neither ABC nor Marvel has commented on the proposed spinoff.